Pre-Construction. To be built. . This home has been permitted, surveyed, cleared and filled and ready to start construction once buyer contracts. Approximate 8 month build. 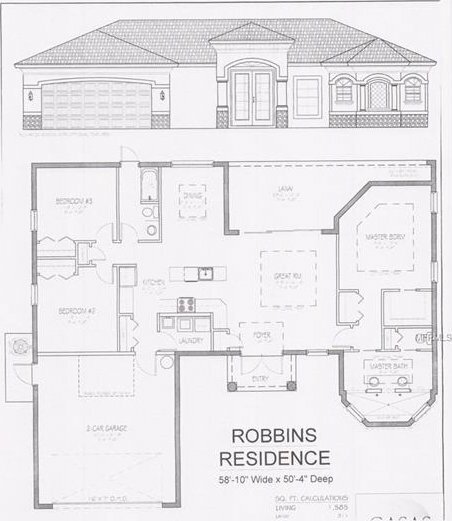 This gorgeous open layout offering 3 bedroom, 2 bath, master suite with roman walk thru shower. High ceilings with Cofer ceiling and crown molding. Zero clearance go away sliders leading to a huge lanai. Beautiful open kitchen to dining room. Oversized. Corner property offering a quarter acre. AAA location in this wonderful boating community of South Gulf Cove with boat ramps for easy access to the Gulf. Minutes to world-famous Boca grande and Mannasota key/Englewood beach. Over 11 golf courses nearby. Close to shopping, boating, dining,and close to Murdock town center. Plans available upon request. This is a must see.